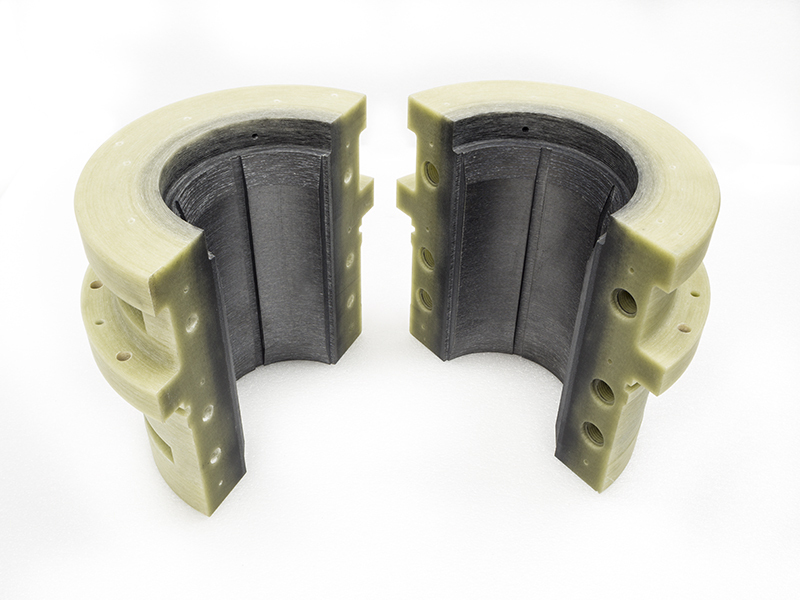 With the development of composite and plastic bearing materials already well established, the use of water as a lubricant rather than oil is entirely feasible. In fact, water lubrication offers certain advantages, including reduced maintenance costs. The conventional solution for hydro turbine guide bearing applications has been to use oil lubricated Babbitt bearings. Oil lubrication has been favoured for several reasons, notably its tribological properties, availability and the lack of incentive to change to an alternative lubricant. However, new composite bearing materials have caused a change in this traditional thinking. The increasing emphasis on environmental compliance is a major reason for the increasing interest in water lubricated solutions. By eliminating oil from the turbine pit, the risk of oil leaks and spills is removed. Even when following the best practices for bearing maintenance, the potential for an environmental hazard occurring always has to be considered. Another compelling reason towards the use of a water lubricated solution is the reassurance of avoiding environmental penalties as well as lowering maintenance costs. Through water lubricated bearings, the water acts not only as a lubricant but also as a cooling agent and an effective solution for flushing away abrasives. In most units with a conventional oil bearing, the shaft seal or packing box is positioned beneath the bearing. This means the ability to adjust the seal or perform routine maintenance is extremely limited. Furthermore, seal failure, which can result in water ingress into the guide bearings, can result in costly turbine downtime. The state-of-the-art structural composite materials for the bearing housing notably reduce the weight, while at the same time removing the need for corrosion protection. Oil is therefore no longer essential as a lubricant, as long as a corrosion proof liner is fitted. Installation and serviceability is also improved with water lubricated composite material bearings; they offer easier access to the seal for maintenance, as well as to the bearing shells for in-situ replacement. 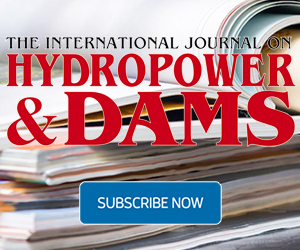 In summary, water lubricated solutions deliver enhanced environmental protection, reduced turbine downtime, and a reduction in both maintenance and operational costs. There are certain steps that need to be taken before carrying out an oil to water lubricated bearing conversion. 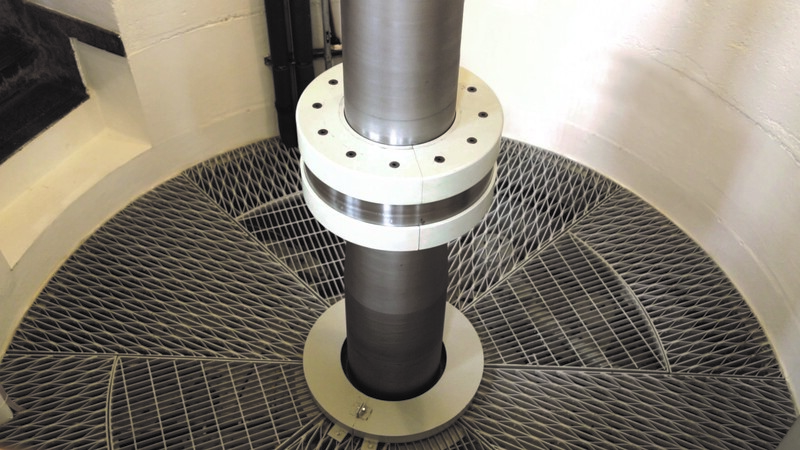 These include taking into consideration the configuration of the turbine head, as in most circumstances, the location of the shaft seal will be moved from below the oil bearing to above the water bearing. Also, composite bearings require a non-corrosive shaft journal, which is usually accomplished by adding a stainless steel sleeve. Ample quantities of clean water are required for the bearing and shaft seal. This can be overcome with a self-contained filtration unit with redundant pumps, automatic self-cleaning filters and instrumentation for measuring flow rates. 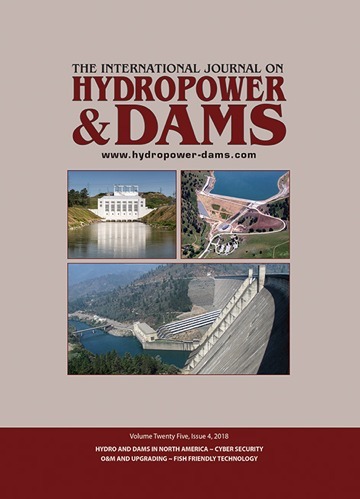 Oil-to-water seal and bearing conversion of the Loup River Public Power District, Nebraska, USA. Wärtsilä Seals & Bearings offers expert consultation and can design and carry out conversion projects. By offering complete package solutions, from initial investigation to final installation and post-installation monitoring, Wärtsilä acts as a complete solution provider for this service.